Crossfield Road, Bollington Cross, runs between South West Avenue and Ovenhouse Lane. At the South West Avenue end it is mostly semi-detached brick houses. 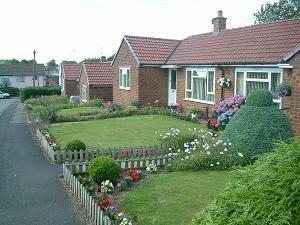 At the Ovenhouse Lane end bungalows designed for the elderly predominate. Approach off South West Avenue or Ovenhouse Lane. Pedestrian access from Archer Close and South West Avenue. Leads to Barnfield Road, Kent Avenue. 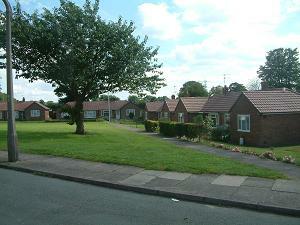 Crossfield Road is widened out to form a green in front of the bungalows.